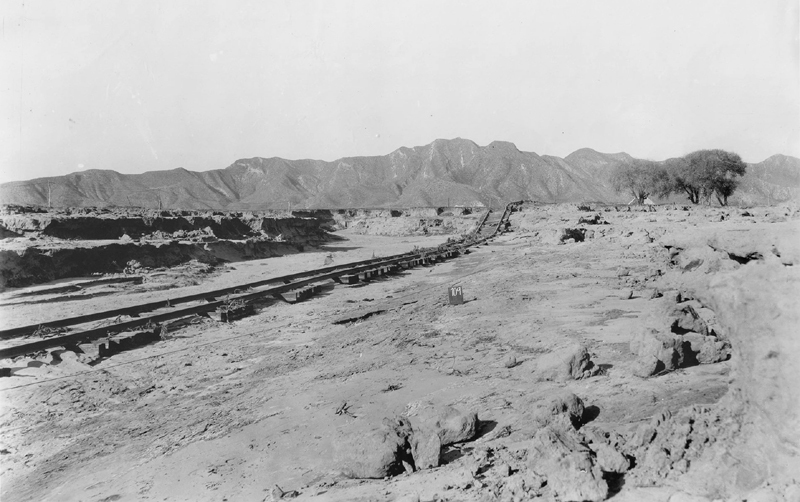 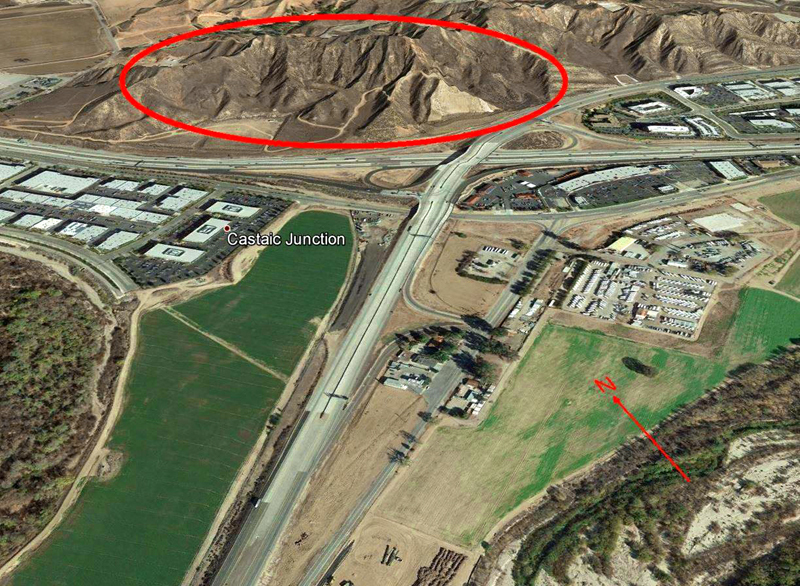 According to St. Francis Dam historian J. David Rogers, the floodwaters have removed the earthen material supporting the Southern Pacific Railroad tracks at Castaic Junction (Castaic switch). 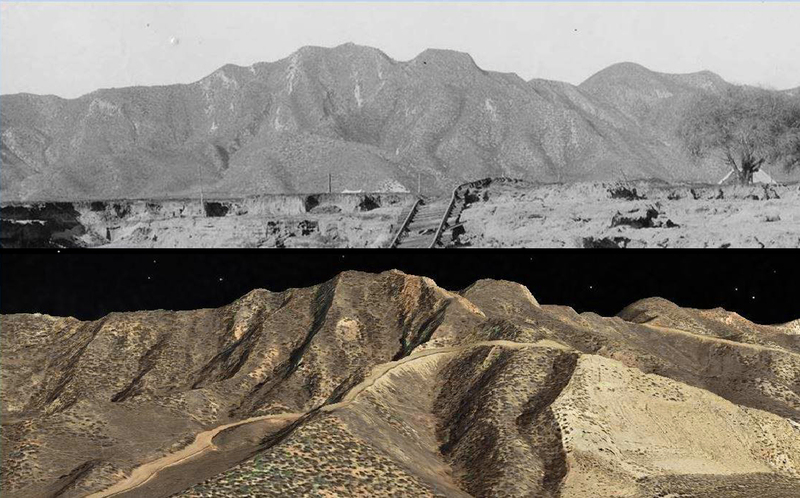 As he shows in the two images above, local historian Jason Brice places the 1928 photographer southwest of the junction, looking northeast. 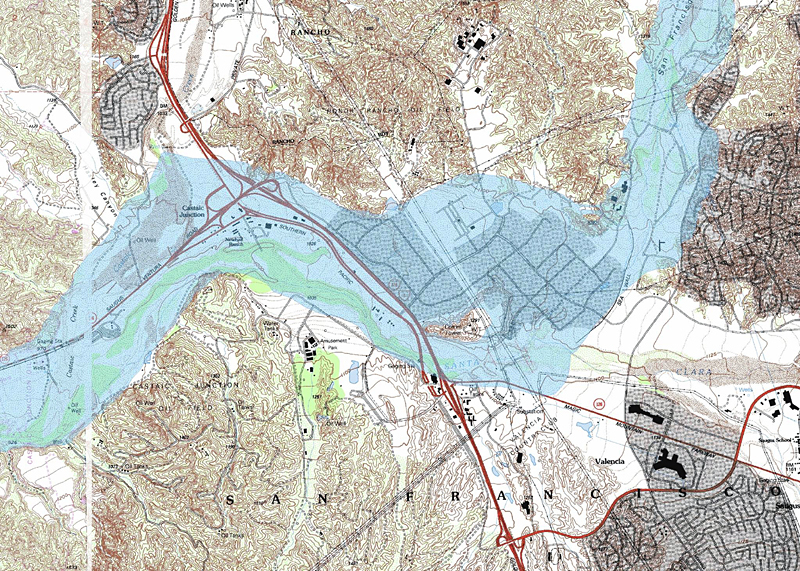 RO2803b: 19200 dpi jpeg. Online image only.